Web content is an avalanche. In the course of checking your email or scrolling through your social feeds, you’re hit with endless links and notifications for good stories you’d really like to check out later. Except you’ve got to remember it all. And then, you’ve got to load pages that may not play nicely with your preferred platform or browser. EmailThis helps you build your own library of web content to read at your leisure the way you want to digest it. Right now, you can lock in a lifetime of access to EmailThis service at a fraction of its retail price — only $24.99 from TNW Deals. EmailThis ends that cascade of bookmarks that happen as you stack up loads of interesting online content you want to read. With EmailThis, just click to save your article of choice directly to your email box — and that’s it. You decide whether you want to save in PDFs, DOCXs, PPTs, Excel files or most other preferred formats. Your saved post strips out all the distracting ads, sidebars, and pop-ups that get in your way, leaving you with a clean reading experience. You can even save all this content to your device, so everything you want to read is accessible offline without racking up additional wireless usage fees. 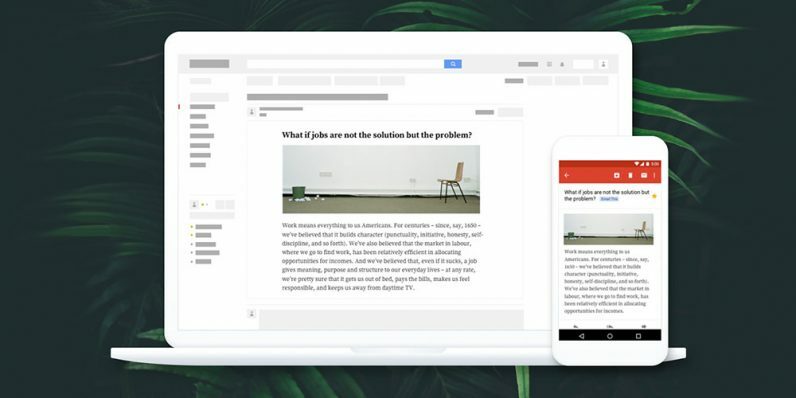 EmailThis makes sure you don’t miss a thing online — and right now, you can save over $150 on a lifetime subscription with this limited time $24.99 deal.